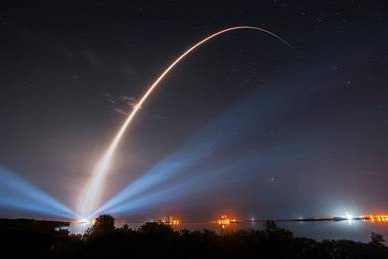 [SatNews] Moog Inc. (NYSE: MOG.A and MOG.B) Space and Defense Group supported Lockheed Martin and United Launch Alliance (ULA) on both the U.S. Navy’s third Mobile User Objective System (MUOS-3) satellite and the Atlas V launch vehicle that launched last night, from Cape Canaveral, Florida. MUOS-3 is part of a planned five-satellite constellation, operated by PMW 146, the Navy’s Communications Satellite Program Office, as a next-generation secure, tactical satellite communications system designed to vastly improve communications for U.S. forces on the move around the globe. Cape Canaveral Air Force Station, Fla., (January 20, 2015) – A United Launch Alliance (ULA) Atlas V rocket carrying the third Mobile User Objective System satellite for the United States Navy launched from Space Launch Complex-41 at 8:04 p.m. EST yesterday. The MUOS-3 spacecraft will ensure continued mission capability of the existing UltraHigh Frequency Satellite Communications system that will provide improved and assured mobile communications to the warfighter. Photo Credit: United Launch Alliance. The ULA Atlas V 551 rocket that carried MUOS-3 into space includes several items supported by Moog. Mission-critical hardware included the Centaur Electromechanical (EM) Thrust Vector Control (TVC) Actuation System that guides the second stage of the rocket into position to inject the satellite into geosynchronous transfer orbit (GTO). The MUOS-3 launch marks the second Atlas V launch using Moog’s latest redundant, upper stage digital controller. The controller allows for commonality between the Atlas V and Delta IV launch vehicles with a change in firmware rather than hardware. In addition, Moog provided the Inlet Valves and Propellant Utilization (PU) Motor for the main Oxidizer Control Valve on the RL10 upper stage engine and the Control Valves for the Roll Control Module (RCM) Thrusters. The MUOS-3 satellite also is equipped with Moog hardware. Chemical manifolds connect critical parts of the propulsion system to enable the spacecraft to maneuver in space. The Pressurant Control Assembly (PCA) regulates and isolates the pressurant gas supply to the propellant tanks. The Propellant Isolation Assembly (PIA) isolates the propellant tanks from the thrusters. Moog performs the assembly and testing of these manifolds with over 95 in orbit. Liquid Apogee Engine (LAE) valves, 0.2 lbf and 5 lbf thruster valves, and torque motor latch valves (part of the PCA and PIA) contribute to the satellite’s Propulsion Subsystem (PSS). High reliability of the PSS is crucial to ensure completion of the transfer maneuver from the launch vehicle upper stage to the correct orbit, and correct positioning of the spacecraft for optimal information transmittal to and from the Earth. In addition, Moog solar array drives are used to position the satellite’s solar panels toward the Sun. The MUOS constellation will ultimately replace the existing Ultra-High Frequency Satellite Communications (UHF SATCOM) system, providing 16 times more communications capacity for military users. MUOS is expected to provide warfighters global coverage when complete. MUOS-1 and MUOS-2, launched respectively in 2012 and 2013, are already operational and providing high-quality voice communications. MUOS-4 is on track to launch later in this year. MUOS-5 is expected to launch in 2016.